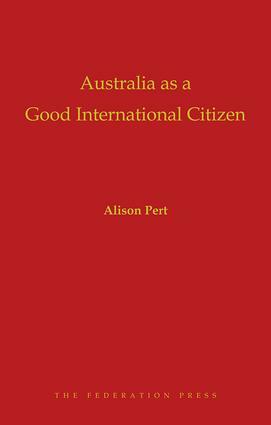 Alison Pert has lectured at the University of Sydney in international law, with a special interest in international law on the use of force and international humanitarian law, since 2003. She qualified as a barrister in London after a pupillage with (now) Dame Rosalyn Higgins QC and has practised as a lawyer in government and the private sector in London, Papua New Guinea and Australia. She has represented Australia at international organisations including Unidroit and UNCITRAL, and in treaty negotiations. Her interests in the convergence of politics, international law and international relations led to her doctorate, awarded in 2010, on good international citizenship.